Super Medical Practice is compilation of 10 special software subsystems meeting your Medical or Dental Clinic software needs. Premier's SMP software solution uses an integrated database allowing you to avoid entering the same information over and over. All modules use the same database. Click the Icons To view any of the associated subsystems from the Main Menu. Use your browser's [Back] Button to return. 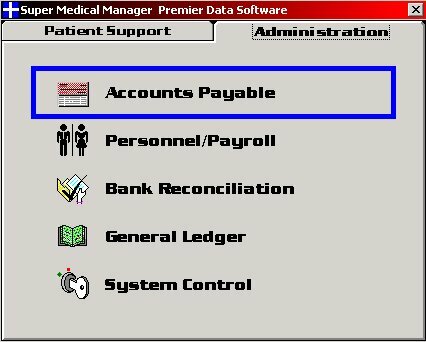 Click the subsystem Icons or Names to view the corresponding Patient Support subsystem screens. This is the Patient Support Tab. 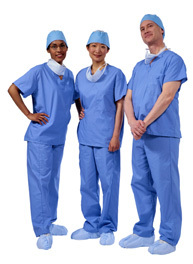 All of the program selected from this tab assist you employees with Patient Scheduling and Encounter Management. 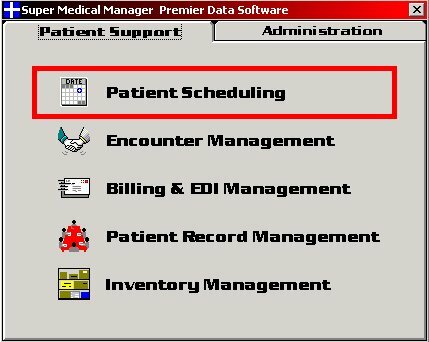 Click the subsystem Icons or Names to view the corresponding Clinic Administration subsystem screens. This is the Clinic Administration Tab. All of these programs are used to pay your bills and manage your in-house book-keeping functions. System Control administers your SMP security.